How Would You Feel If a Human-like Robot Starts Talking To You? Say ‘Hi!’ to robot Sophia. She is super intelligent and very much resembles a real human. And I got to talk to her. At least it felt like I did. In this video, Sophia is talking to one of her creators. But it feels like she is talking to me. While I was watching and listening to Sophia, I enabled emotion measurement on my computer, I was curious how would she make me feel. When Sophia started talking my first thought was “Hell, do not talk to me! You're not real”. According to the data from facial recognition, at that particular moment, my face was expressing the negative emotions and fear. Spot on! I was also surprised the entire time I watched a video with Sophia and an incomprehensible fear would rush back to me time and again. 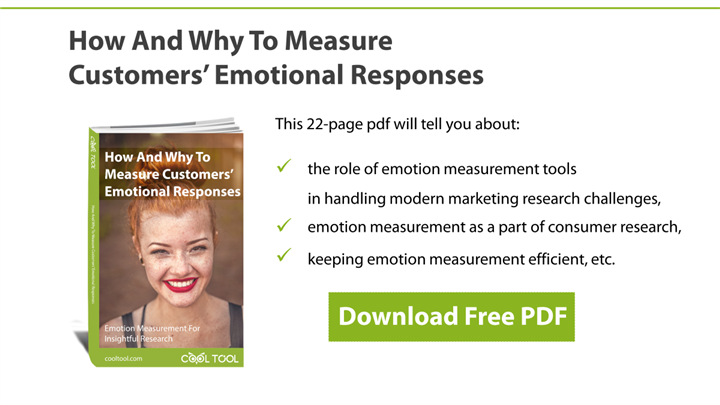 Phew… Look at the screenshot, it has data from a emotions measurement test. Can you tell what I am feeling? I am scared and I do not like what I see, yet I’m surprised and so I go on watching the video. I guess this mix of emotions is an excellent demonstration of how we (I can’t be the only one who feels like this) react to human-like robots. At some point, I got skeptical. Though it might be because I tried to copy Sophia’s expression? :) Just take a look at my emotions – they are all over the place. Do you remember the movie Ex Machina? It is not a fantasy anymore. Should we get used to the idea that we will interact with robots as if they were our neighbors? 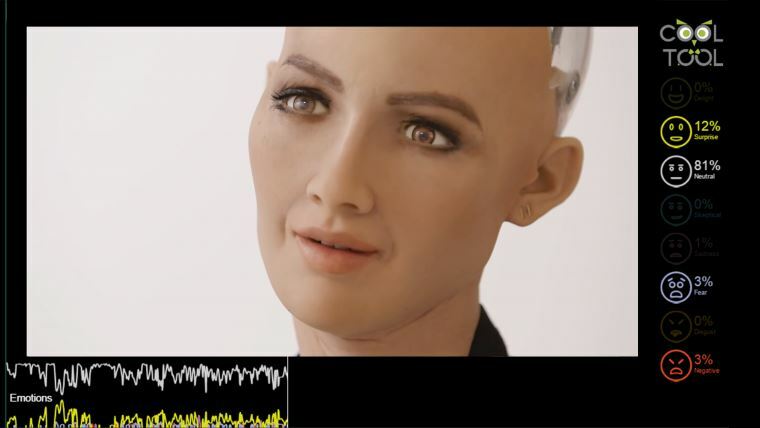 In one of her interviews, the robot Sophia (I still can’t call her just Sophia, you know, one of my close friend’s name is Sophia, but she is a human, that I know for sure) said she wanted to destroy humans. Later she said she was joking. Ok, very funny, ha-ha (I need an escape plan from this planet, just in case, when is that shuttle to Mars leaving anyway?). What about you? How did robot Sophia make you feel? See the original video I was testing at CoolTool platform.